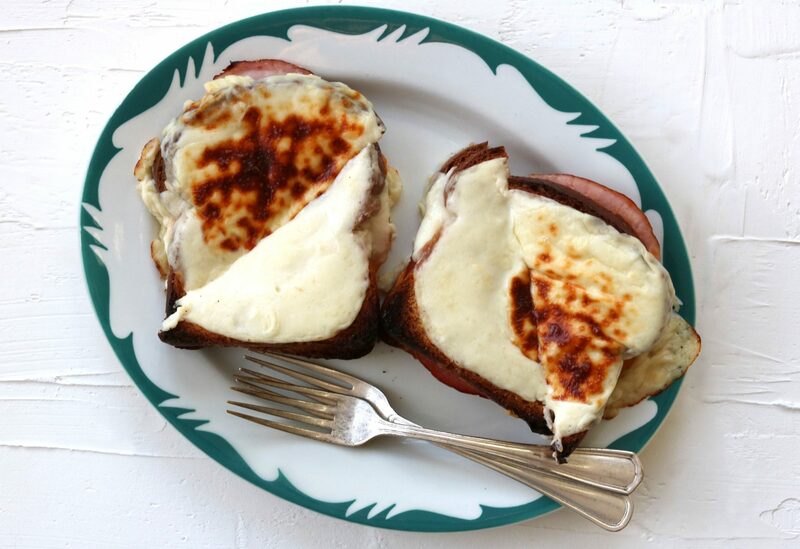 Following the unexpected runaway success of a random Facebook post of a sheet pan full of grilled cheese sandwiches – yes, you can simultaneously cook as many as you can fit on a sheet by baking them at 450F for about ten minutes, flipping them halfway through, and they’re perfectly evenly melted and toasty – I decided to do the same with a batch of croque monsieur. It was perfect timing, as Grimm’s is currently doing a holiday campaign in which they ask food writers across Canada to cook with their products, and in return donate $500 worth of Grimm’s Fine Foods products to their charity of choice – so I made these to share in support of Brown Bagging for Calgary’s Kids (BB4CK), an organization that feeds 4,400 kids in Calgary every school day. It seems fitting to share our lunch in exchange for providing so many kids with a lunch they might not otherwise get. I’m all set. Well, mostly. I have to start this post with a huge thank-you to Virtual Vino, a small Calgary company that operates out of Rocky Mountain Wine, Spirits & Beer, which is next door to Long & McQuade, so I’m always poking around while Mike shops for drum skins. I ordered and picked up all this wine last week, after discovering last year that doing so made December far easier, and saved a ton of time and money. But what I really appreciate is that they’re familiar with what I do, and they reached out and asked if I could help spread the word about they do by doing more of what I do—coming up with some holiday food ideas to share with you guys-and they would sponsor it. 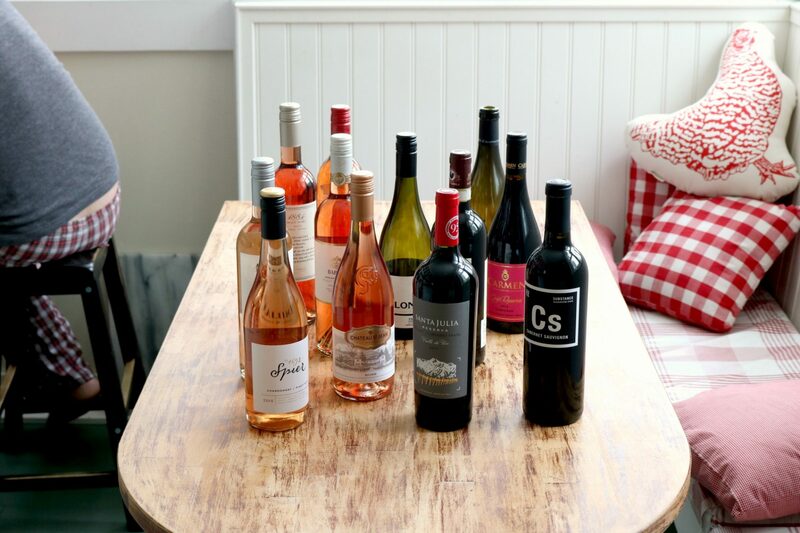 Because what I do it fits so well with what they do – curate good wines and package them up in fun six-packs you can peruse online, order at an amazing discount (the kind generally reserved for buying single wines by the case), and pick up or have them delivered to your house. (Also! You can order wine for someone else and have it delivered to them, which is just about the best present I can imagine.) I know some people get squirmy over ads, but the truth of it is the lack of them is what’s killing print media and small publications. I really appreciate the support, as I’m about to drop another $3500 on a site redesign, hosting costs money every year, and while I love spending time here, other story assignments tend to get prioritized because they pay the bills. So yay for companies like Virtual Vino for supporting local producers and local media, and especially for just letting me run with my ideas, without asking for special messaging – it means I got to spend a day doing what I love most—cooking and baking, and sharing it all with you guys. With wine. Win-win-win-win-win! (Wine-wine-wine-wine-wine-wine!) I posted a bunch of these recipes and ideas over on Instagram stories, and highlighted them so they’ll stick around for awhile. So. The way I see it, there are a number of holiday situations that require food, and all of them can be made easier by having done some advance prep and planning. There are the parties, of course, that require a nice bottle of wine and something for the host and often an appetizer/dessert/nibbly thing as well. There’s the big feast, and sometimes more than one if you have more than one set of relatives or friends close enough to call family. There may be extra people hanging around the house, maybe even sleeping over, and kids home from school for two weeks. There are teachers, coaches, mail delivery people, and a million scenarios in which I want to grab something for someone I see over the holidays to let them know I appreciate them. And there are cookie swaps and Christmas carol sing-alongs, and Christmas Eve. And you always want something special for Christmas morning, but don’t want to be stuck in the kitchen (thus the invention of Christmas Morning Wifesaver, which was never a thing in our house). And OMIGOSH I LOVE CHRISTMAS SO MUCH, and we haven’t even got to New Year’s Eve. So let’s go through them all, because I feel like there are things – frozen cookie and pastry dough, spiced nuts, preserves, antipasto – that can be tucked away to address any number of the above scenarios. 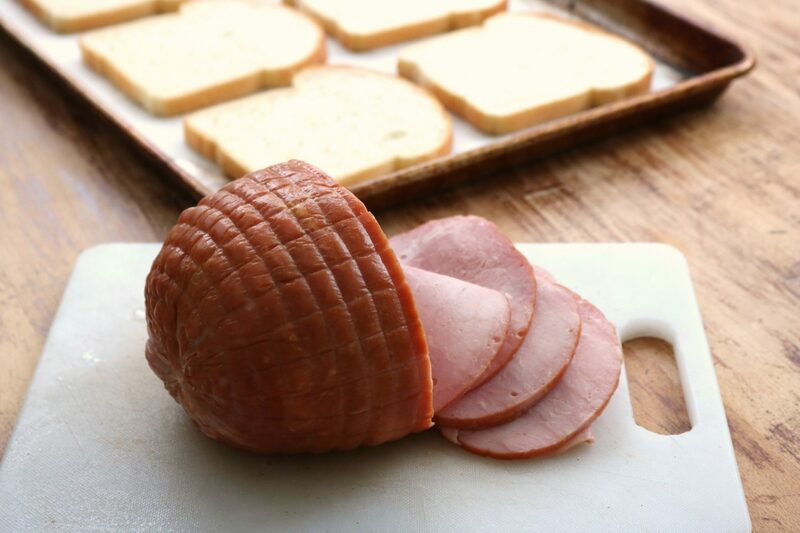 If you look to social media, you’ll see that food boards are all the rage these days. With the Holiday party season coming up, it’s good to know you don’t have to cook a whole extravagant meal if you don’t want to—you can assemble all sorts of tasty things on a cutting board or platter, or whatever you can scrounge up from around the kitchen. There’s totally no shame in picking up cheese, charcuterie, olives, fancy breads… it’s all about enjoying your own party, right? Our annual Christmas party, as I may have mentioned in the past, has a theme of polyester and cheese – throughout the year, friends text me with photos of garish polyester finds they come across at thrift stores or in boxes in the attic – “I found my polyester and cheese outfit!”. Polyester is encouraged but not required, as people tend to party hop on December weekends, but the one rule is that everyone bring a chunk, wedge or tub of cheese. Who doesn’t love cheese? It’s easy to set out and not have to worry about keeping hot or cold (if it’s a baked brie, it’s always gone before it cools completely anyway), and the very best part is the leftover nuggets we pack away to nibble on for the week between Christmas and New Year’s Eve. So when Castello asked if I would come up with some tips on how to assemble a holiday cheese board, I was more than happy to comply. 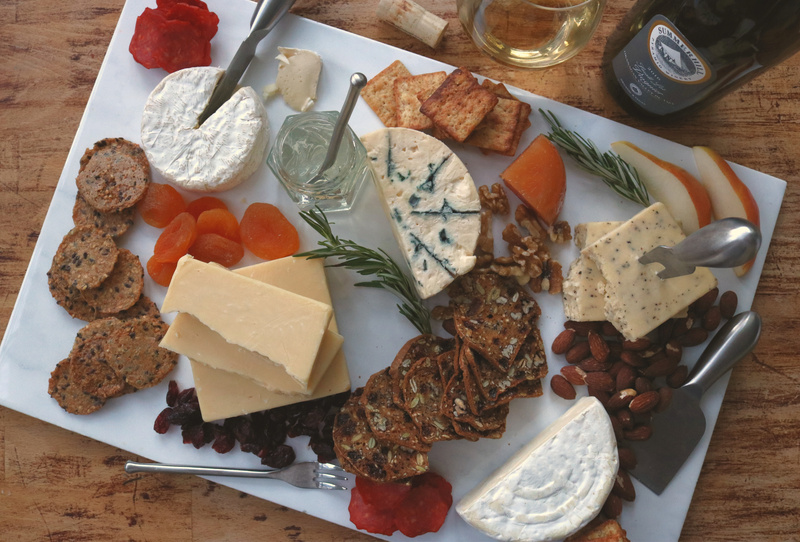 It is, in fact, a year-round habit of mine—just about any time I have people over, even if it’s just one or two extra at my kitchen table, I rummage through my cheese drawer and set a few out, with crackers or bread and whatever accompaniments happen to be in my kitchen. 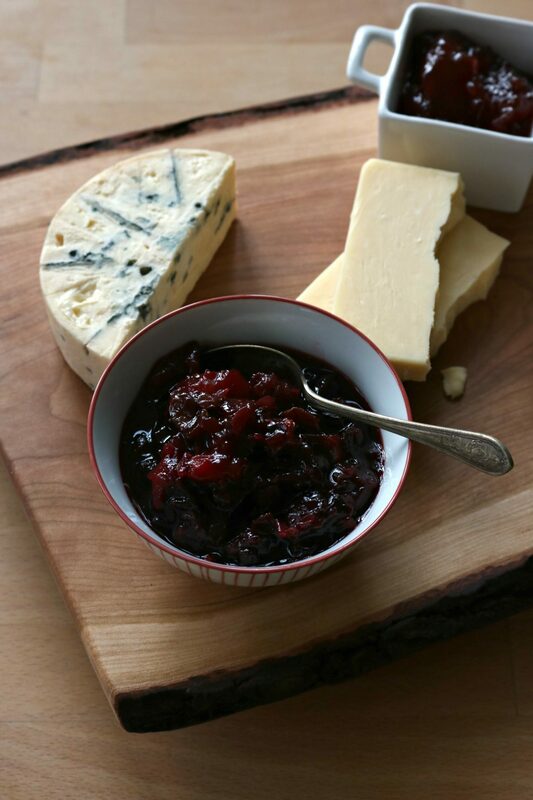 If you’re planning ahead, you could pick up any number of nuts, dried fruits, preserves and fancy crackers or fruit breads, but I guarantee if you look through your cupboard and fridge, there’s something in there that’s perfect for a cheese board. 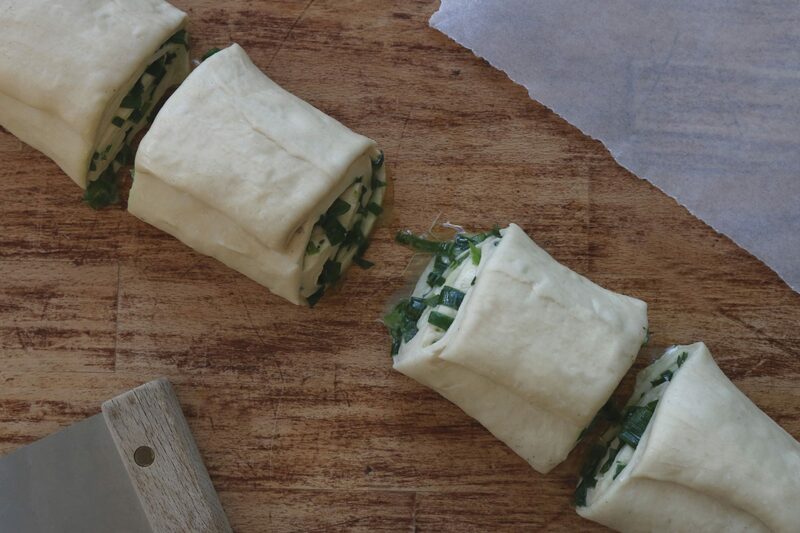 I’m a bit ashamed to admit I didn’t realize what a big deal green onion cakes are, and have been for decades, in Edmonton. They’ve become the quintessential market and festival food, introduced to the city back in 1979 by restaurateur Siu To. I’ve been meaning to make a batch using the masses of green onions that nearly took over my garden, and when I finally harvested them all (and replanted the bulbs for next spring), I took his lead to make my own. Yes! 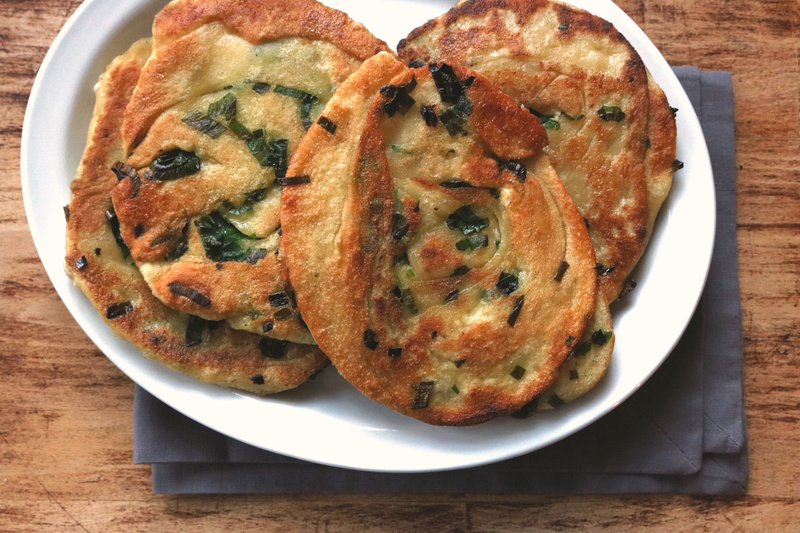 If you’re not familiar with them, green onion cakes are these crispy, doughy savoury cakes cooked in a skillet, made by rolling dough out, sprinkling it with masses of chopped green onion, much like you’d spread cinnamon-sugar over dough for cinnamon buns, then rolling, twisting, squishing – there are as many techniques as there are cooks making them. 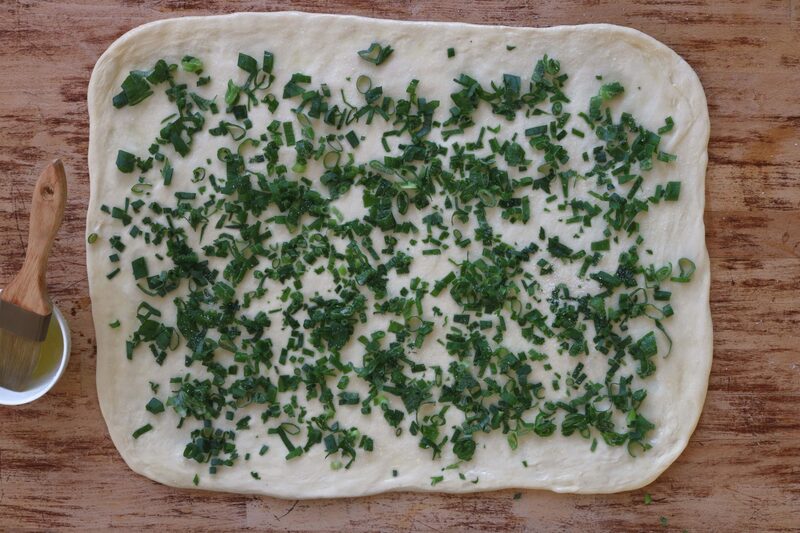 The process seems complex, but is simple once you get the hang of it—roll, sprinkle, roll, cut, squish, roll—there’s no need for perfection here, it’s all just a matter of distributing loads of green onions more or less evenly throughout the dough. 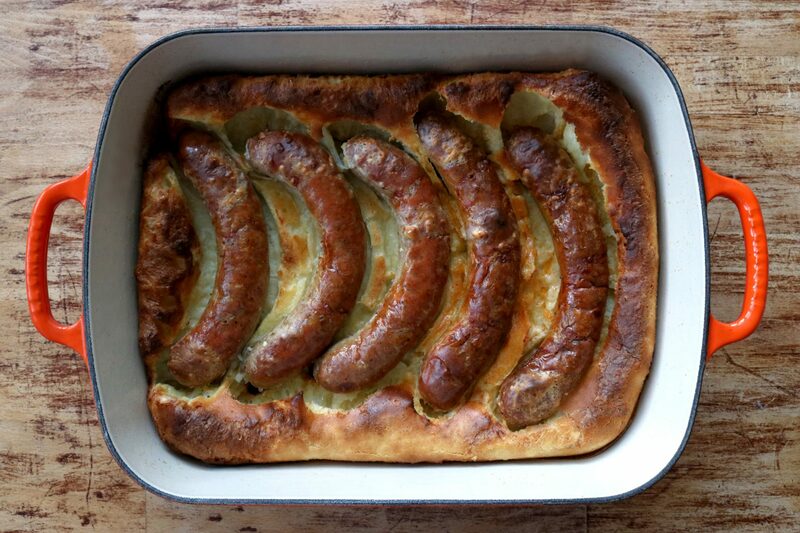 Occasionally it occurs to me that I don’t make Toad in the Hole often enough. Ever, really. 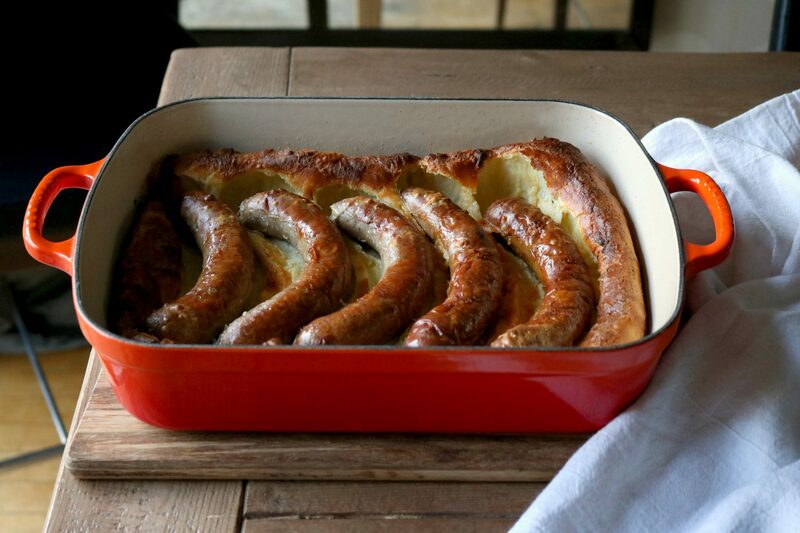 If you’re not familiar with it, it’s essentially a pan of baked sausages into which you’ve poured a Dutch baby or Yorkshire pudding-like batter in the middle of cooking, when the pan gets really hot and the sausages are half done. 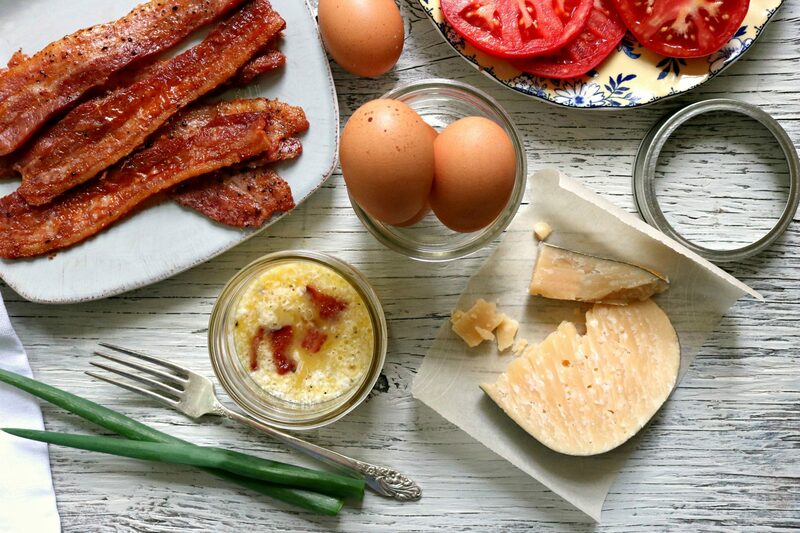 It’s about as easy as dinner gets, and as you can imagine, it would be as well suited to breakfast or brunch… you could, in fact, top it with fried eggs and splatter it with hollandaise and bring the whole pan to the table to feed everyone. 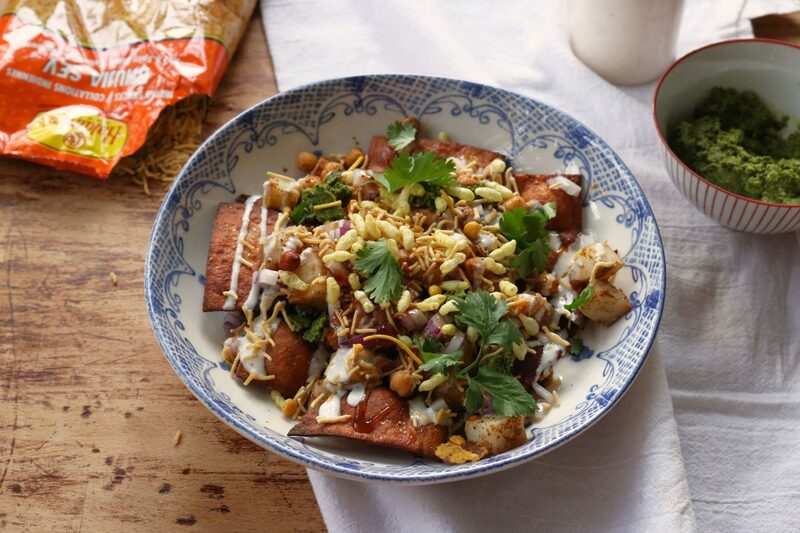 If you’re not familiar with papdi chaat, I’d like to put it forth as the ideal snack food, and one of my hands-down favourite things to eat. 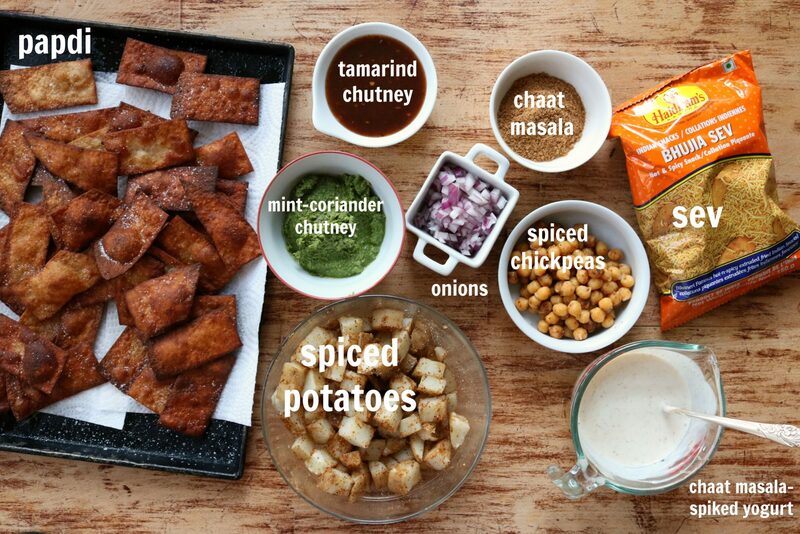 Chaat is a blanket term used to describe a wide range of snacky, savoury Indian street foods, and papdi (or papri) are the crisp fried crackers used as a base for (or served alongside) diced potatoes and chickpeas tossed with chaat masala (a spice blend customized specifically for this purpose, which you can make yourself or buy pre-mixed), minced onion, fresh mint-cilantro chutney, and a drizzle of sweet-tart tamarind chutney and cool spiced yogurt. Papdi chaat is everything you want in a snack—salty, sweet, sour, tangy, crunchy, spicy and soft. Layers of interesting colours, flavours and textures. 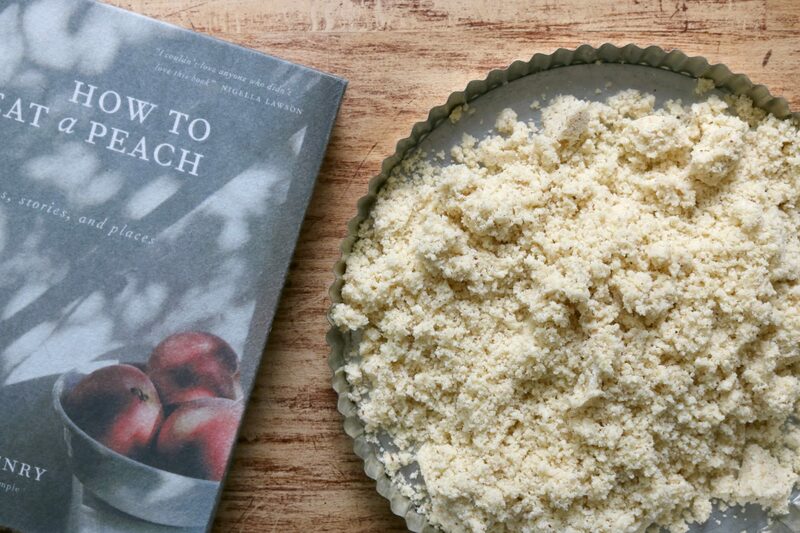 It’s all served in one bowl, and you can eat it with your fingers. It’s typically something I order at a restaurant, or have had friends make for me, but I’ve been meaning to give it a go myself for years, and I’m glad I finally did. 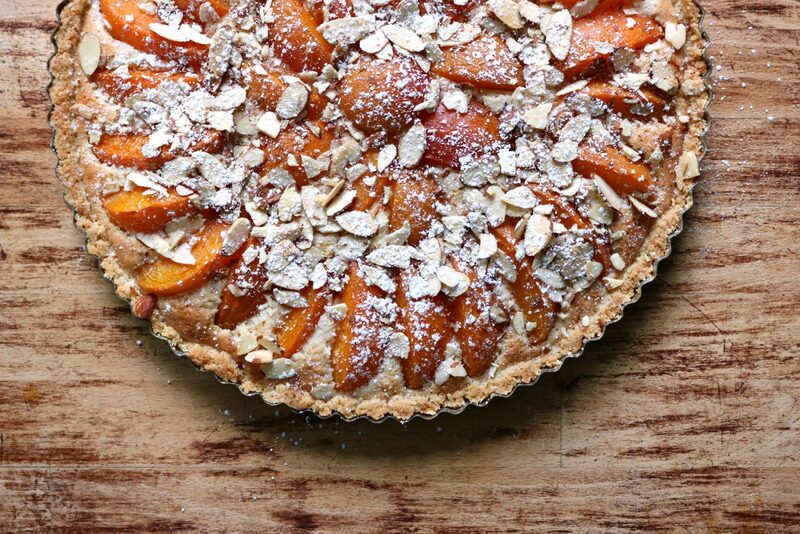 Before we all move on to apples and pumpkin, lets make the most of the last stone fruits-apricots, peaches and plums, the former and the latter so delicious in cakes and tarts, and so often overlooked in favour of the almighty apple pie. I’m not sure where August went, but apparently school is back in. Suddenly it’s dark at 8 o’clock, and I’ve put on my wooly socks and hoodie – although I’m strongly resisting turning the furnace back on. And so we’re shifting gears back to rushed mornings, packed lunches and dinner at a more regular hour than it has been over the summer. But because W turned 13 in August (!!) and is now as tall as me, he’s hungry all the time! Fortunately he can cook, but isn’t always inclined to do so. He can turn out a decent omelet and over-easy egg – his go-to meals or snacks when he wants to cook something himself, but as part of the year-long video series I’ve been doing with the EggcentricTV and the Egg Farmers of Canada, we decided to make frittatas in a jar, in part as a way to deal with the leftovers that always seem to be taking up space in the fridge. 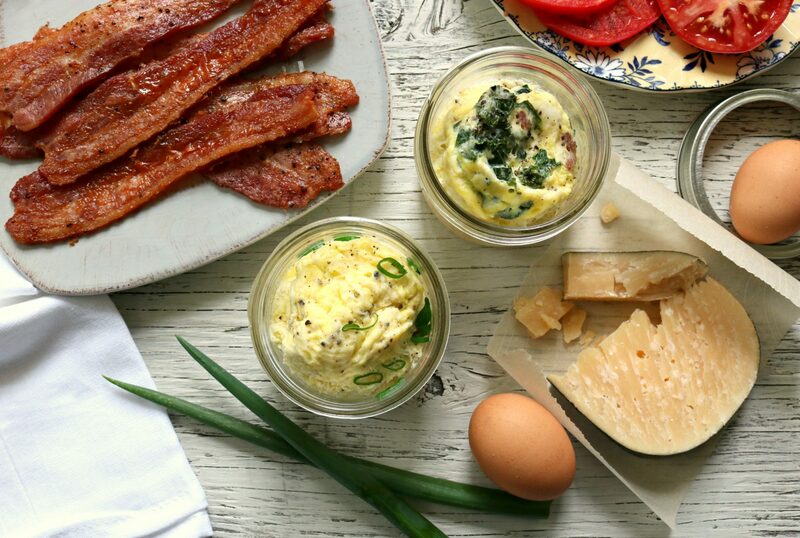 This isn’t a recipe so much as a process — and like the kind of frittata you make in a pan on the stovetop, this can be made with just about anything you can think of: grated or crumbled cheese, bits of cooked meat, fresh herbs, green onions… anything that pairs well with eggs, which is just about everything.